Virtual reality might be all the rage these days, even if major game publishers have been slow to release video games for headsets like the Oculus Rift. There have been a few exceptions of course, and we’ve had the pretty good Eve Valkyrie game for the Oculus, and also Capcom’s hit video game Resident Evil 7 did include a pretty exciting VR mode by most accounts. And other publishers like Ubisoft also reminded us of the possibilities of virtual reality last year, when the French powerhouse released an interactive VR trailer for their Assassin’s Creed Syndicate game, proving how immersive a full 360 degree point of view experience can be. That was not the end of Ubisoft’s interest in VR though, as they also released the interesting “Eagle Flight” game in October last year, plus it’s clear that the French company might have an interest in bringing Assassin’s Creed to VR judging by a recent report on gaming website VG24/7. This is because Ubisoft developers recently collaborated with a pack of students at NHTV to create Assassin’s Creed: Da Vinci’s Workshop, a virtual reality game set in Leonardo da Vinci’s workshop in which players have to solve a series of puzzles in order to locate a fragment of the famous Apple of Eden artefact. 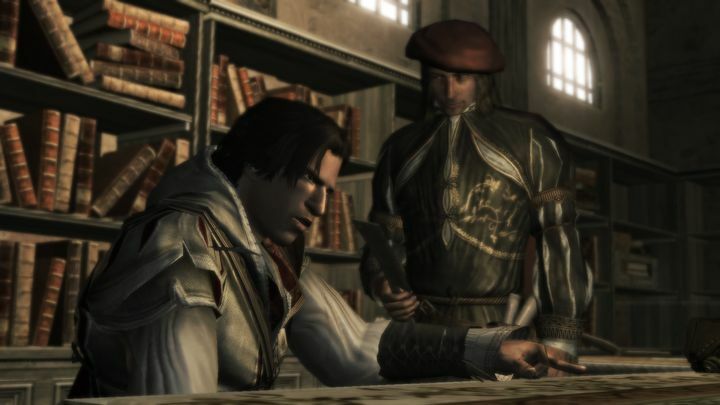 Leonardo, of course, was one of the most charismatic characters in the superb Assassin’s Creed II game, giving protagonist Ezio all sorts of weird and wacky gadgets throughout his adventures in what arguably was the best Assassin’s Creed game to date. Going back to Assassin’s Creed: Da Vinci’s Workshop, it is unlikely this game will ever have a commercial release though, as it was likely built as a technical exercise (and was perhaps a way for Ubisoft to look for potential recruits amongst the students involved in the project too…).But even though we might never get to play Da Vinci’s Workshop, at least we have the upcoming Assassin’s Creed Empire to look forward too, Ubisoft’s new rumoured Assassin’s Creed game which could be hitting the shelves this year, and which might borrow and idea or two from last December’s Assassin’s Creed movie. And after 2014’s Assassin’s Creed Unity and last year’s Assassin’s Creed Chronicles games failed to impress, it will surely be a great thing if Assassin’s Creed returned to form this year with another mind-blowing entry that takes us to another place and time as is usual with Ubisoft’s long-running video game series.